Almost 20% of Australian adults are living pay to pay despite 70% believing they are good at managing money, a survey by National Australia Bank (NAB) has revealed. While one in five people, “rarely or never have any money left at the end of a pay cycle”, many are turning to their savings (70%), credit cards (40%), or even selling their possessions (16.4%). The study found those living in regional areas more likely than those in capital cities to struggle at the end of a pay period (22.7% compared with 16.4%). The most common unexpected expenses were dental or medical bills (46.1%), higher than expected household bills (42.3%) and car repairs (40.3%). 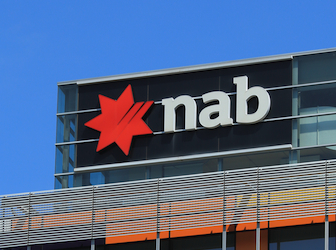 NAB has released the results of the survey to coincide with the release of its ‘Stop Small Problems Getting Big’ campaign in conjunction with Good Shepherd Microfinance. The campaign aims to present to people facing hardship a safe and affordable financial lending alternative to high-cost fringe lenders. Good Shepherd Microfinance CEO Adam Mooney said taking out high cost loans in times of financial difficulty often led to problems escalating in the long-term. The campaign will draw attention to the two organisations’ partnership since 2003, which is aiming to improve financial inclusion for a million low-income Australians by 2018. So far the partnership has provided more than 100,000 no or low interest loans to those on low incomes, many of which are unable to access mainstream finance. NAB Group CEO Andrew Thorburn said the bank had committed $130 million in loan capital to microfinance – “Not just because it’s doing the right thing. We believe in helping more people to become financially successful and through this, supporting our nation to prosper.